Søren Berg Glasius Nerd by Nature. I am a versatile developer, who likes coding the backend systems, and loves making frontend experiences for the user. I work as a Groovy and Grails expert and consultant, working for Gennemtænkt IT clients. I can take on Groovy and Grails jobs, ranging from greenfield projects, through Grails 3 upgrades, and extending and maintaining existing Grails projects. 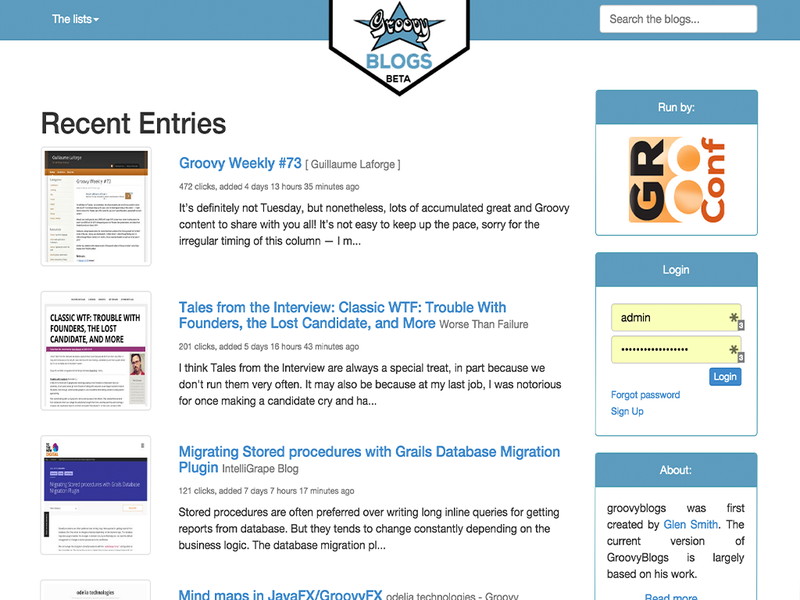 I have experience with writing Grails plugins and I am author of or contributing to several open source plugins. 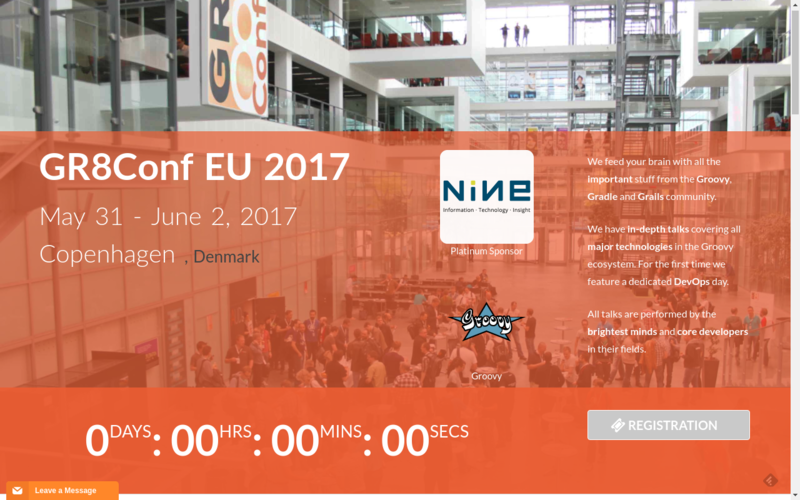 GR8Conf was started by Guillaume Laforge (Groovy Lead Developer) and me in 2009, and it takes place annually in Copenhagen, Denmark. It is one of my careers highlights. Together with the crew I have managed to build a solid brand in the Groovy and Grails community. Each year we have between 120 and 200 attendees. Most of the planing takes place in my spare time. In the context of GR8Conf I also teach courses in Groovy & Grails on a regular basis. The course is hands-on, and the material is developed by myself. Software Engineer with speciality in Groovy and Grails. Advocates Grails by writing blogs, developing Grails plugins, and speaking at conferences and user-group meetings. Working for the Identity Management Team (CalNet). Architect and developer of self-service and administrative web applications, developed in Groovy and Grails. Self service application for employees to create and invite guests users. Replacement for the current (15 year old) identity management suite. New application written in Groovy and Grails. I worked as a consultant, where I created software in Java, Groovy, Grails, ESB, jBPM, Spring Framework, Integration. I have developed and taught a four days hands-on course in Groovy and Grails. Grails project to support health monitoring for people with spinal cord injury or brain injury. OpenTele is a tele-medicine platform that can be used to do remote monitoring of patients. The project has an Android tablet frontend, and a Grails UI and backend. Developer on www.signaturfornyer.dk, a system to store and renew digital signatures, ssl certificates and more. Developed in Grails. The projects in this position were centered around Grails, and were primarily focused on the front-end and the user experience. Development of system to handle large amounts of route-planing data. Front-end development with jQuery and jQuery mobile. Working with GIS information GUI. Improving the look & feel of customer-facing application. Development of HTML5 application for tablets. Development of systems for communication between systems. The work was telecommuting, with a weekly trip to the office. Started as a freelance developer on 1 March 2007. Likes to work with assignments, where many technologies have to fit together. Have experience in working with Groovy, Grails, JSE, JEE, XML, XSLT, XSD, Struts, JSP, JMS, MQ, JDBC, Hibernate and other Java-related technologies. Working from home or at customers site. 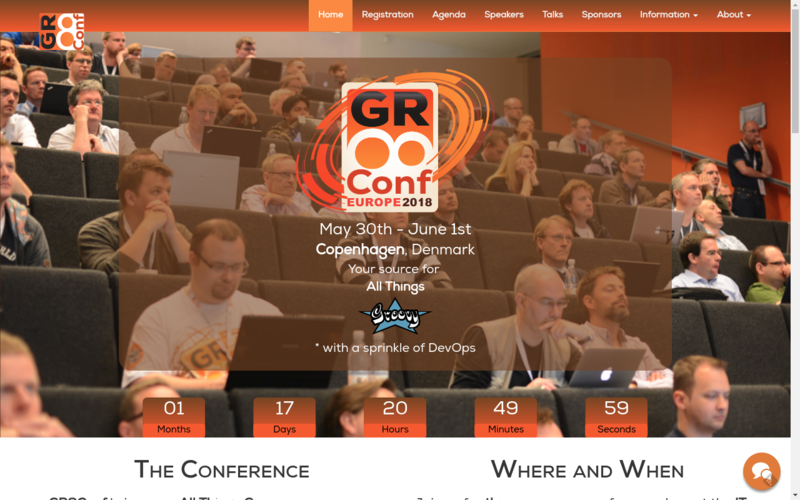 GR8Conf are a series of developer-driven conferences, covering Groovy, Grails, Griffon and other great technologies. The idea for the conference was conceived by Guillaume Laforge and I in early 2009. The first edition was held in Copenhagen with great success: over 100 attendees from 17 countries. Gennemtænkt IT is a small Groovy and Grails based company in Denmark. They were looking for an experienced Grails developer to help with advanced UI design, Ajax'ification of a web-application and backend Grails development. Working on online universe, web-frontend (Struts), middle tier (J2EE and WebLogic, JMS, MQ, Web-services). Optimization and caching of middle-tier data. Framework development in Java, Client (Swing) Server (J2EE) application development. Setting up development, build, deploy and production environments. System consultant on Windows (NT/Terminal Server/Citrix), TCP/IP Network architect. Troubleshooting small and medium-sized computer and network installations. Grails application, Twitter Bootstrap Layout. Hedevej 1, Gl. Rye, DK-8680 Ry, Denmark.